Just outside of downtown, the Strawberry Hill neighborhood in Kansas City, KS is placed quite literally on a hill that overlooks the confluence of the Kansas and Missouri Rivers. During the early 19th century, immigrants from Croatia, Serbia, Slovenia and Russia migrated to the area along the hillside, which was filled with strawberries. Here they made a community out of their different cultures. 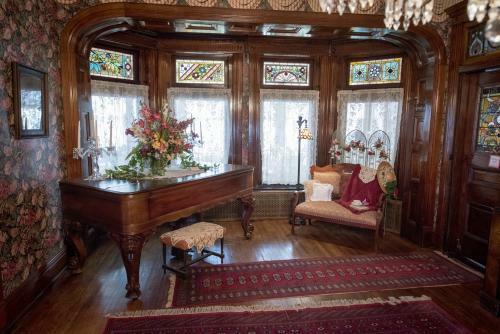 The Strawberry Hill Ethnic Museum and Cultural Center is a Queen Anne Style home that was built in 1887. The family it was built for lived there for 32 before it was turned into an orphanage ran by Catholic nuns in 1919. In 1988 the orphanage closed. The property then was turned into a museum that strives to preserve the stories of the eastern European immigrants and their families. The moment you step into the museum you are immediately overcome by its beauty. 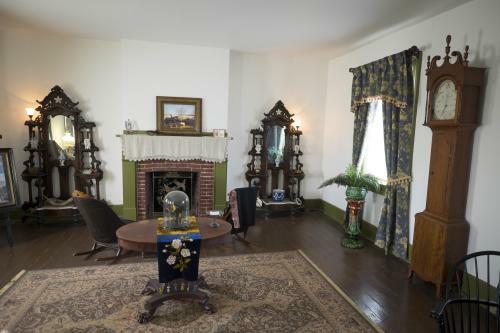 From the colorful stained-glass windows and rich wood floors, to antique furniture and décor donated from families of the eastern European immigrants, Strawberry Hill Museum truly takes you back in time. During the mid the Quindaro Townsite in Kansas City, KS was settled by a group of migrant settlers and abolitionists who strived to secure Kansas as a free territory. The town was a Free State port-of-entry for abolitionists in Kansas, and its people helped slaves escape Missouri and link them to the Underground Railroad. Today you can see what is left of the original stone and brick homes and businesses of the town at the Quindaro Ruins & Overlook. Not far from the overlook is The Old Quindaro Museum, which was once home to a family of the area. The smalls but mighty museum houses an extensive display of photographs of the people and the town. Through documents and artifacts like clothing and old-fashioned shackles, the museum spreads awareness of the cultural significance of this rarely recognized piece of American history. Grinter Place Historic Site is known as being the oldest house in Wyandotte County and possible the oldest farmhouse in Kansas. The 1857 Gregorian Vernacular house was home to Moses and Annie Grinter. Moses was one earliest settlers pioneer settlers in Kansas and was a ferry and trading post operator along the Kansas River. His wife, Annie, was of the Lenape (Delaware) tribe. Grinter Place is furnished to look like it did when the Grinters lived there, and even has a few of the family’s original furniture pieces. 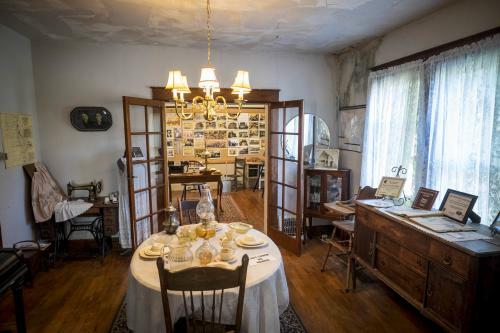 Guests can explore the house, and learn more about life was like for settlers of the area through the museums tours and programs. The home looks over the Kansas River, and the spacious land around the house is often used for family fun events throughout the year.